Professor Jim Perry of the Virginia Institute of Marine Science, College of William & Mary, has been elected President of the Society of Wetland Scientists (SWS). Perry began serving his three-year term in June at the Society’s annual meeting in Duluth, Minnesota. The SWS is an international non-profit organization with more than 3,200 members dedicated to promoting understanding, scientifically based management, and sustainable use of wetlands around the world. Perry has participated in the organization since the mid-1980s, and is now a lifetime member. He has held a variety of elected and appointed positions throughout his years with the SWS, including his most recent stint as the Secretary General of the Society’s Professional Certification Program, which he helped to develop in the early 1990s. Perry is currently serving as the President-elect—a position he will hold for the first year of his term. Perry will assist current President Dr. Steve Faulkner, and perform any presidential duties in Faulkner’s absence. When Perry takes the reigns as SWS President in 2014, he will become responsible for the business side of the Society. Perry will be tasked with making appointments to committees, establishing special committees required for Society business, and any other responsibilities determined from time to time by action of the SWS or its board of directors. In 2015, Perry will serve as past-president, a role in which he will chair the nominating and bylaws committees, as well as perform presidential duties if both the president-elect and current president are unable to act. As past-president, Perry will also serve as the Parliamentarian during Society meetings. 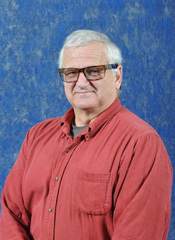 Perry became familiar with SWS when he was working as an environmental consultant specializing in restoration and creation of inland and coastal wetlands in the early 1980s. Perry says SWS and its journal—Wetlands—were at that time one of the only sources of peer-reviewed information available. “I believe my research and teaching experience will provide a broad base to help me better understand the needs of the Society’s diverse membership,” says Perry.